Office Concepts for the premises design have some specifics which are accounted by designers and architects at the construction and renovation of office buildings. Use ConceptDraw DIAGRAM extended with Office Layout Plans Solution from the Building Plans Area for simple and effective designing of various office plans. 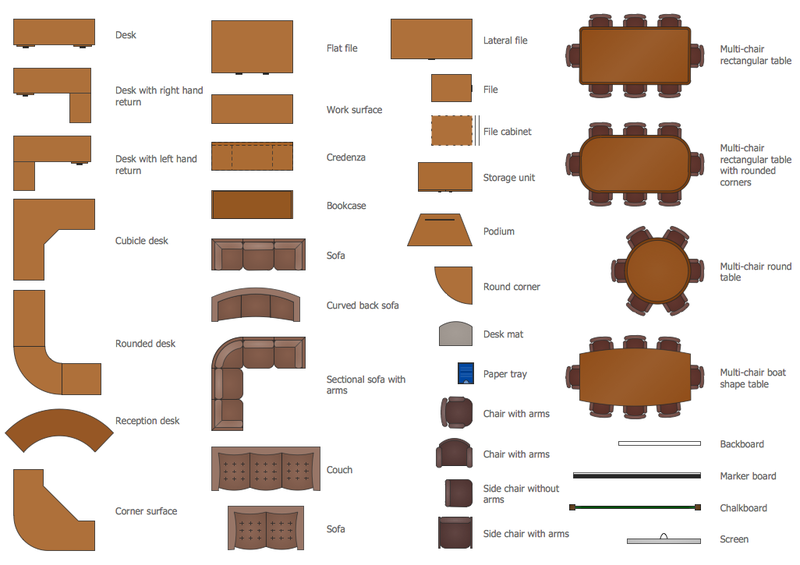 Using of ready vector objects is a time-saver way for explaining design office concepts. You can also take the ideas from the collection of samples designed by specialists and offered in ConceptDraw STORE. These samples can be also changed or used as is on your option. This sample was created in ConceptDraw DIAGRAM using the Office Layout Plans Solution from the Building Plans area of ConceptDraw Solution Park. 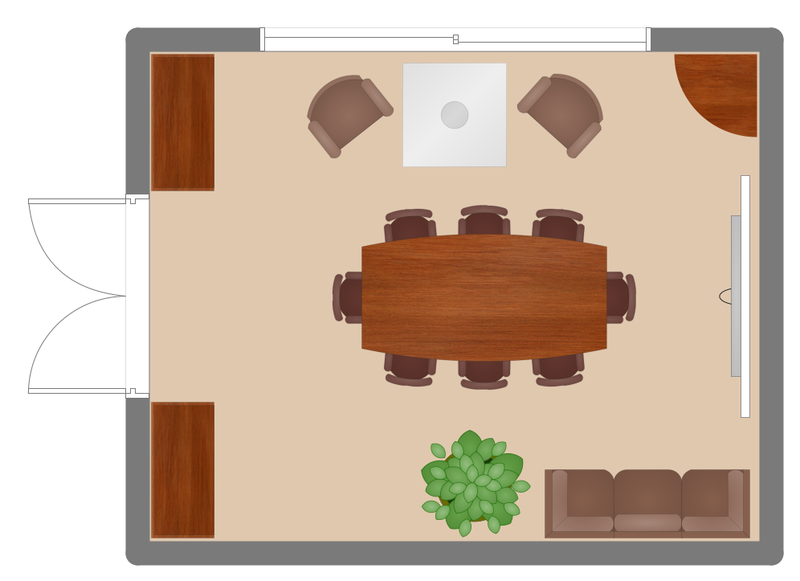 It shows the office concepts for the conference room layout and design. An experienced user spent 5 minutes creating this sample. All source documents are vector graphic documents. They are available for reviewing, modifying, or converting to a variety of formats (PDF file, MS PowerPoint, MS Visio, and many other graphic formats) from the ConceptDraw STORE. 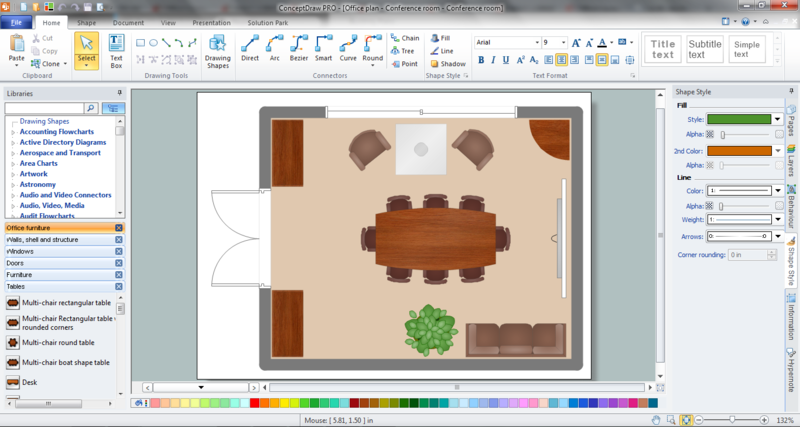 The Office Layout Plans Solution is available for all ConceptDraw DIAGRAM or later users.